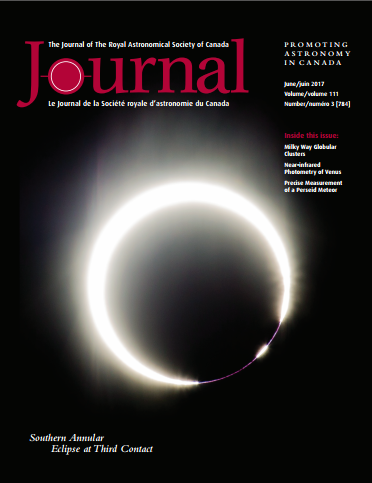 The June RASC Journal was uploaded to the members area. I am really looking forward to reading Blair Macdonald's column. This issue he's diving into masks in Photoshop, a feature I still struggle with. Levy's column is on eclipses! Percy talks about life-long learning. My software review column Binary Universe featured the Meteor Shower Calendar app for iOS and Android. It's a good tool for people who would like reminders or notifications for upcoming meteor showers. I reviewed the versions on iOS (1.3.1) and Android (2.3.5).